The Ebates / Amex Membership Rewards new partnership offers an exciting way to rack up super-valuable Amex points, transferrable to 16 airline and 3 hotel programs. If you’ve been reading this blog long enough you know that I hate regurgitating the same old stuff you can read pretty much everywhere else. And I can’t often “beat” other bloggers in delivering a fresh piece of news, although I do get lucky, sometimes. But what I do, and (I’d like to believe) do well, is add value. Even if and when the subject matter has been talked into oblivion. Which brings me back to Ebates. When I learned about this new partnership between Ebates and Amex Membership Rewards I immediately wanted to write about it. But write about what? The ability to earn Membership Rewards with or without the Ebates credit card? It had already been covered. What added value can I bring to the table? Because one Amex Membership Rewards point is worth more than $0.01. I value Amex points the same as Chase Ultimate Rewards points – at 2x. I know it might sound a bit too generous, but I don’t normally use Amex points for anything other than Business Class award tickets. And I could value it even higher based on this factor alone. In fact, I would value Amex points higher than Chase’s if Chase didn’t have Hyatt. I don’t care about Chase’s transfers to United now, since I loaded on Avianca LifeMiles last year. 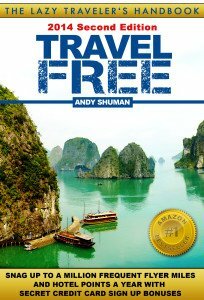 Just like every valuation in the world, it’s very subjective, but whatever your take is, it will always be better than 1:1 unless you have no interest in travel. Ebates is very reliable. It’s been in business for over 30 years, and it usually tracks your purchases well. Ebates covers over 2,500 online stores. You can get cash back in some brick and mortar stores, as well. Ebates is painfully slow. They pay once in 3 months. 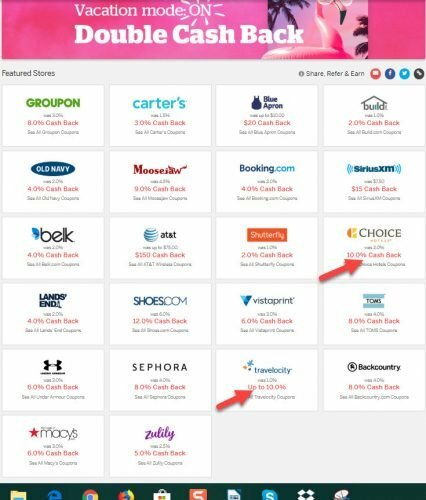 Ebates cash back is often less competitive versus other portals. There are only 73 cash back physical stores, but who cares! How many Amex points can you earn, really? Of course, the Ebates value doesn’t come from physical stores (quite honestly, I’ll do anything to avoid “actual” shopping, and I don’t think I’m alone in that). I estimate that 90-95% of my shopping is done online, and every store I’ve shopped at is available on Ebates. A survey I conducted in my household (LOL) revealed that my wife does about 80% of her shopping online, and all the stores she shops at have a presence on Ebates except two. According to my calculation based on these surveys, an average American family spends around $3,500 a year on shopping – and that doesn’t include things like TVs, audio-systems, and video games, because surveyors usually aggregate them in Entertainment, which also includes other stuff, like cable, movie tickets, etc. So it’s kind of hard to break down. This number also doesn’t include pet care products (well, not everyone has pets). 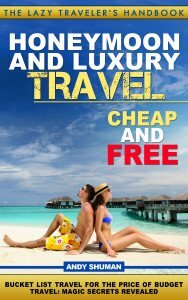 And it doesn’t include travel either, which is entirely possible to book with Ebates using one of the OTAs, such as Booking.com or Travelocity, as well as booking directly with a hotel chain. What I’m trying to say is that $3,500 in shopping annually per household sounds like a super-conservative number to me. I’m pretty sure most families spend more. I know mine does. What would be your earning potential if you funneled most of your shopping through Ebates? Apparently, at the very least, you would earn 3,500 Amex points. This is kinda meh. But wait, there is more, as they like to say in those silly infomercials. And more there is indeed. I wrote about this card a long time ago. From what I can tell, not much has changed. I must concur with Doctor of Credit and Frequent Miler – this card has just become the card for online purchases. Unless Ebates or the card issuer come out with some kind of restriction, anyone who sets up their Amex MR Ebates account will be getting at least 4 Amex points. And that’s with a lousy 1% cash back. This means at least 4x Amex points (or 8x cash back in my valuation) for ordinary purchases, and there are tons of ways to get more. 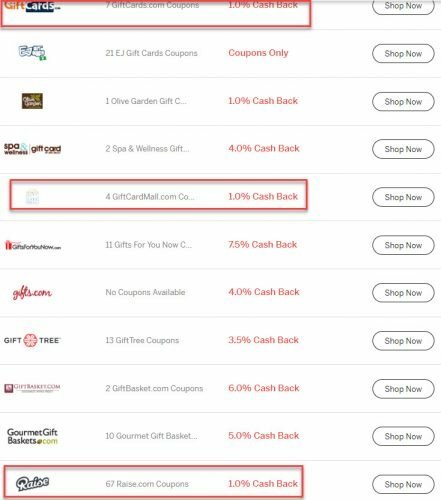 Ebates normally won’t give you cash back for gift cards unless you shop on sites dedicated to gift cards. If you agree with my valuation, that’s like getting $20 for every $500 Mastercard or Visa gift card. You can get even more cash back for store or travel gift cards. Ebates runs these promos all the time. In today’s double cash sale, for example, there are a few travel deals that offer more than double cash back, like Choice and Marriotts hotels (doesn’t include Starwood), which normally offer 2% cash back. Sometimes they run even better deals. Last April it was a 13% cash back. If you combine one of these deals with an extra 3% credit card cash back and a coupon – well, there is nothing stopping you! If you’d love to get back into the good graces of Chase, but can’t give up on raking up points and miles (we’re all junkies after all), the Ebates credit card can help. With most of your shopping earning you at least 4 Amex points on a dollar or more, you can rake up thousands points a year. Granted it’s not as exciting as grabbing a 100,000-point bonus at once, but it’s much, much better than nothing. 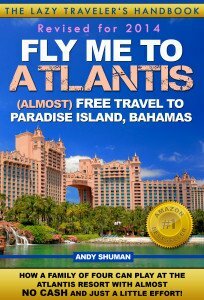 In our example above, you would make 14,000 Amex points instead of 3,500 points even with the smallest 1% cash back. So is the Ebates card the best thing since sliced bread? Not so fast! 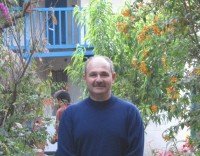 I have one word of caution for you – Synchrony. This is the bank that issues the Ebates card, and it’s one backwater financial institution, I tell you. It’s a bank that gave me – me, a dude with a 25-year old credit history and 800-point score – a $300 credit line on the Cathay Pacific card. The card, mind you, with a $5,000 spending requirement! Several exhausting phone calls later, I closed that damn thing after having gotten nowhere about increasing the credit line. I also promised myself never, and I meant that, never to deal with that lousy bank again! 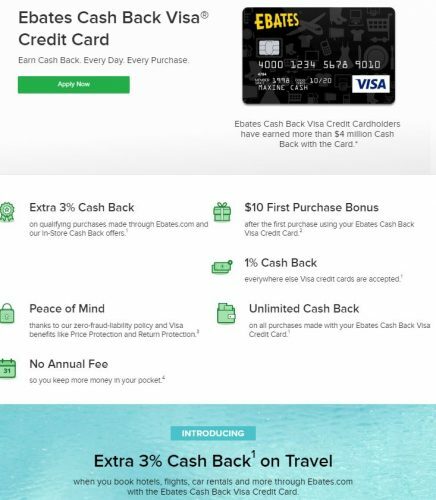 The new Ebates partnership with Amex is a game-changer for collecting Amex Membership Rewards points that doubles the value of Ebates cash back (in my valuation). To maximize the value, consider the Ebates credit card that adds 3 Amex points to the loot, so your minimum reward will be 4 points on every purchase. Plus, use the Ebates double cash promos and Ebay coupons to get even more value. 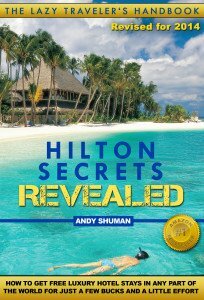 Do ANA Miles Redemptions Cost Less in Cash Than 2 Years Ago?